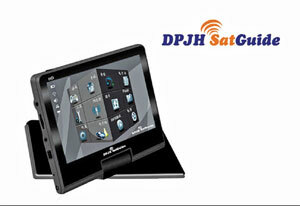 Abans announced the launch of the DPJH SatGuide Navigation System in Sri Lanka. This state of the art navigation system provides users with turn by turn navigation through the bustling streets of the island, and it is up to date with all the latest roadways and infrastructure developments. The SatGuide boasts an index of over 225,000 important Islandwide locations and its voice guidance is available in English, Sinhala and Tamil. Searching for corporate entities will also be a breeze thanks to the SatGuide's Business Directory, which holds contact information of all major companies in Sri Lanka. The SatGuide's features, however, are not limited to that of navigation. The device can also be used to listen to music, watch videos, play games, view photos, listen to FM radio and a variety of other options. Pertinent travel information for Sri Lanka can also be accessed through the device on the offline website: gatewaytosrilanka.com. The in-built G2SL Software in the device gives you invaluable information on Sri Lanka's most sought after Historical Places, Restaurants, Hotels, Shopping Complexes and other important locations. This remarkable travelers companion has a 2GB/4GB Data Storage capacity, stores over 1000 songs, Video and Audio Player, FM Transmitter, Games and information on over 225 important locations islandwide.